In using magenta in business applications you need to understand the traits, qualities and mood of the color along with the psychological meaning. The messages the color sends to your customer base can have a major impact on your business success. Magenta represents universal love at its highest level. It promotes compassion, support and kindness and encourages a sense of self-respect and contentment in those who use it. It can assist ambitions and desires to become reality. Physiologically magenta helps us to flow with life and let go of old ideas. Magenta is a strong and inspiring color which can appear outrageous and shocking on one hand or innovative and imaginative on the other. It is particularly attractive to the non-conformists in the community. In business applications, magenta is most suitable to those in artistic or creative fields, such as artists, costume or set designers, writers, photographers, inventors, artist supply shops or art dealers. 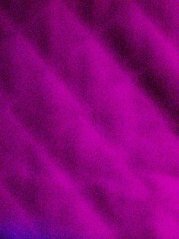 Magenta is a beneficial color for mentors and life coaches to use to assist their clients to let go of old ideas and to move forward in their lives. Its imaginative and innovative messages are encouraging to all who are looking to the future. If you want to have an impact that says outrageous and lively in a positive way, magenta will do it for you! If you have a unique feature to your business, magenta will draw attention to it. For more on using these colors in your business: red, orange, yellow, green, turquoise, blue, indigo, purple, pink, gold, silver, black, white, gray, or brown.